Fr Ashton Gomez had to show proof to criminals that he is an Anglican priest. The church is doing its part in fighting crime, Anglican priest Fr Ashton Gomez declares and all those who say otherwise are clearly not part of the church. 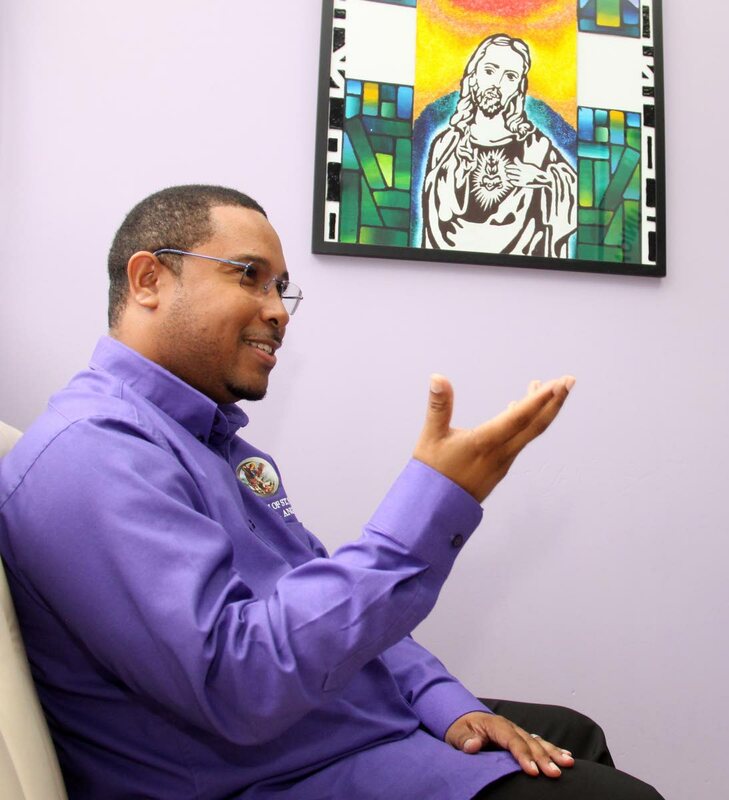 Presenting his views in a Sunday Newsday interview with jokes and a welcoming smile, Gomez, 36, said he could speak not only for his denomination but others and other religions as well. He argued that the churches, mosques and temples were sidelined by the notion that some people were being given the titles that rightly belongs to them. “When you have people who are “characters” and who may have issues with the law and you call them community leaders, what do you call us? I am offended by that, calling them community leaders! And if they are leading the community what do you expect?” Gomez questioned. Seated on his off-white couch at the St Michael’s and All Angels Anglican Church, Wendy Fitzwilliam Boulevard in Diamond Vale, Gomez said the allure of a quick dollar was hard to compete with. He added that the communities are broken because of more walls than bridges and there needs to be a revisiting of the “good old days”. Two weeks ago, Gomez as parish priest for the St Michael’s Parish which stems from Diego Martin to Chaguaramas, stood up during a police town meeting and told a story of criminals patrolling his parish. 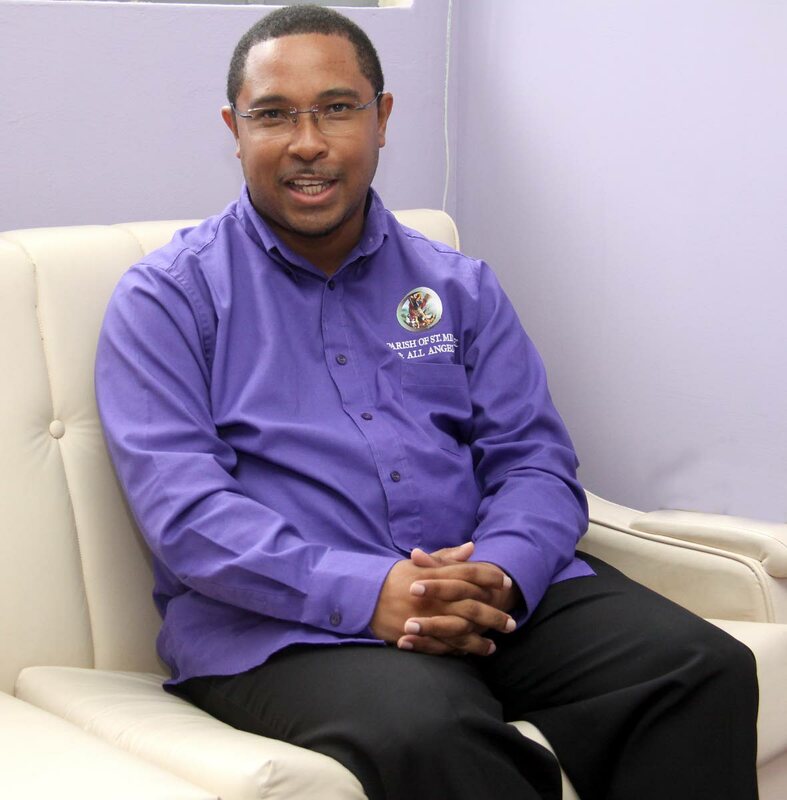 The father of two told those gathered at the Diego Martin Central Secondary School that when he first arrived to take up parish duties two and a half years ago, he was stopped and questioned by criminals who at the time “were on a patrol”. They asked him to provide his identification, proof that he was a priest and also to explain his motives for being in the area. “I was walking with a couple ladies and we had to follow their (the gang members) instructions because I couldn’t put all of our lives at risk. You don’t see the police, there are no foot patrols or anything like that and (because of this) these criminal elements are doing their own patrols of the streets. I was even urged by these young men not to go beyond a certain house on the street or dwell in certain areas,” Gomez said during the meeting. Recounting the incident, Gomez said he was warned by a parishioner not to venture too far into Vineyard Road, Upper Haig Street Carenage. He said as head priest in the parish he was rekindling with his members who attended Church of the Resurrection Anglican a year ago when he was stopped, quizzed and warned. Although he is armed with the will and might of his Lord, Gomez, using wisdom, decided to take heed to the suggestion. Since then he has been able to walk freely in the communities he presides over to a large extent but the demarcation remains in tact. Gomez said he was no fool and will never endanger the lives of himself or others. He said he was not going to be dictated by fear and he understands why in many communities people are reluctant to leave lucrative criminal conduct. Taking a page from late calypsonian Richard “Nappy” Mayers and calling on the country to bring back the old time days, Gomez said community togetherness was lacking. While the old days lacked many of the conveniences that are now enjoyed, such as a frappuccino and WiFi, it had less walls and more bridges Gomez said adding that the demise of community togetherness spawned a breakdown in society. “Everyone now has a wall. Growing up there was no wall, we could have gone a neighbour yard and pick their fruits and they could have corrected you. That now is gone,” Gomez said highlighting that many people prefer to suffer in silence than seek assistance from their communities. He said he was informed of parishioners who were ordered not to attend church, criminals aware of residents making reports on them, even through 800-TIPS and other gaps in the national security system that left many feeling hopeless. He said there is an illness in many communities but criminality was the symptom. Gomez said there are education programmes but no opportunities resulting in educated criminals. He added that crime in the communities he is in charge of, and by extension the country, stem from a lack of values within people who are unable to say sorry when they have offended. “We have a lot of work to do and we need to start fighting for the right things because the people need to see real change. I deal with people who don’t expect to live long. How do you treat with that? How do we minister in this new age?” Gomez said adding that for some in his community church and God is for the elderly only. The licensed minister for the past five years said the country is an angry one and there is a need for it to be cured by returning to a life morals and values. He said for him the church offers hope to some while others seek refuge in “other community leaders”. The sickness, he said, is the perversion of parenting. Parents are no longer parenting their children, mothers and fathers have been reduced to “child mother and child father” and children are raised in toxicity. Children are not regulated but given electronics and trinkets to keep them busy while parents go about their days not taking out to raise them properly. He added that sporting arenas are great initiatives but many youths need to vent and in many cases they vent to the wrong person who gives them advice not conducive to law and order. Gomez said he offers hope to all who will accept it and reiterated that the church is doing their part and it is his prayer that all others do theirs as well. Reply to "Fr Ashton’s prayer"